The box art is COOL AS ICE! 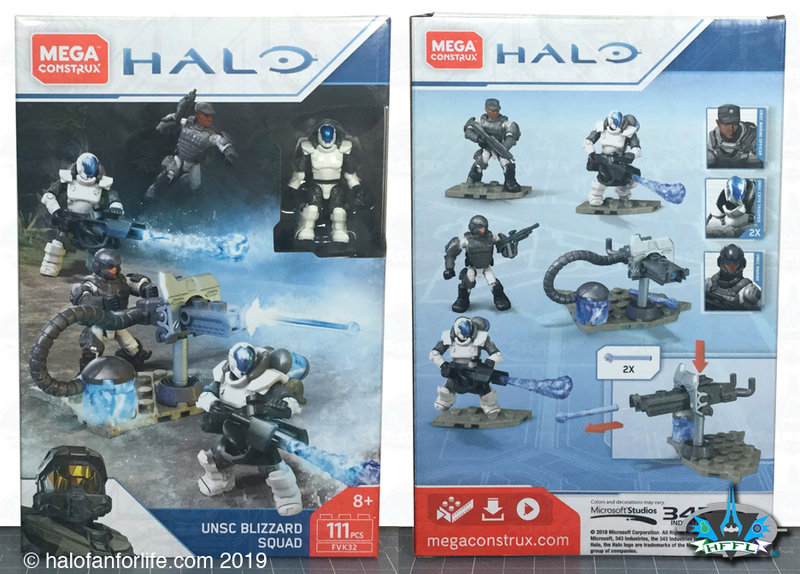 A chilly action shot is one the front, while the back of the box shows off the figures nicely. In the box you get an instruction manual, two bags of parts, 3 bags of one figure each and the already built figure that is seen in the front box window. Here are the pieces sorted and the figures built. Not too many steps to make the Cryo turret. It’s one of the new turrets that can launch small projectiles. BE CAREFUL! 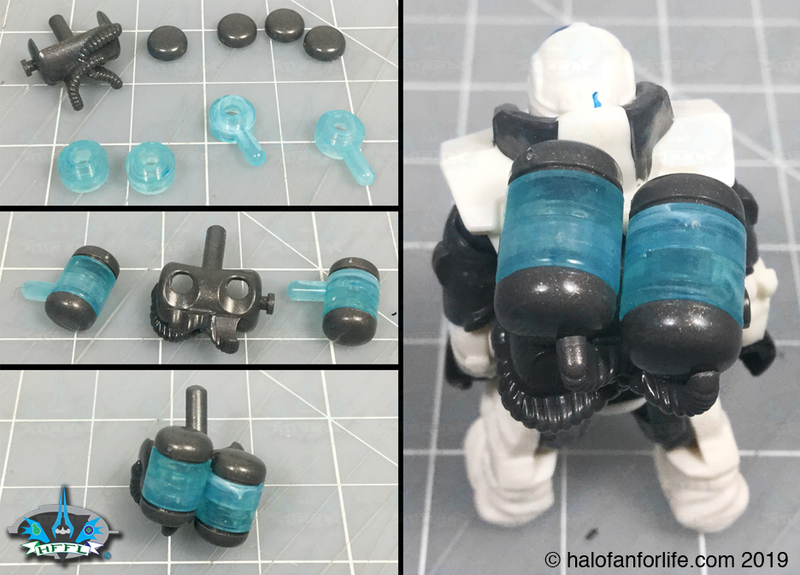 The Cryo Marine’s backpack is buildable. 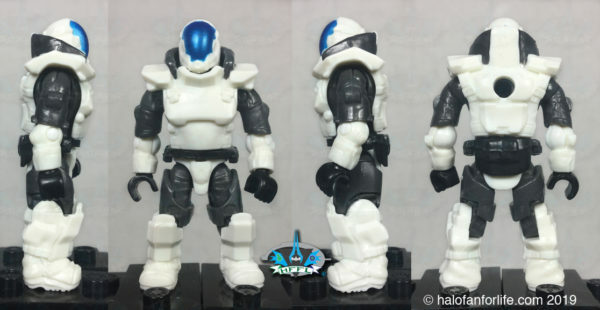 You make two of these, one for each Cryo Marine. 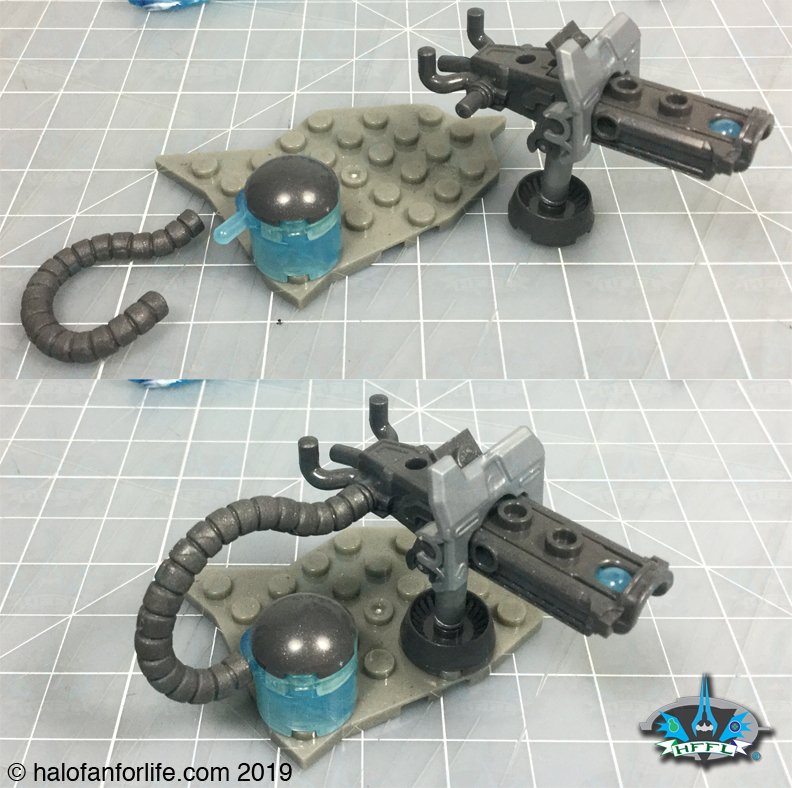 My only small issue is that there were no extra hoses to connect the backpack to the cryo thrower. Let’s take a close look at the figures. This figure is the exact same as the Flame Marine that comes in the UNSC Marine Customizer pack as well as the Yankee Squad set. Though this time, it’s themed in white and grey with a blue visor. 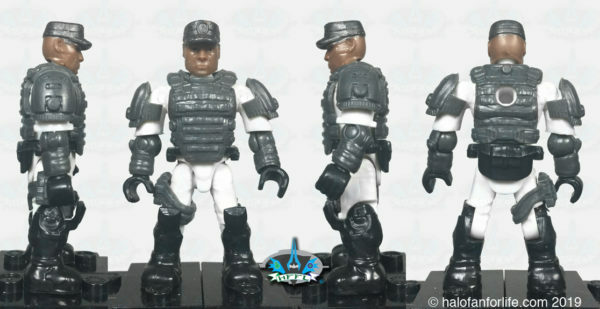 This is the typical UNSC Marine as of Halo 4/5. It also carries the white/grey theme of Blizzard squad. This figure is the exact same as the other marine, but for the change of head. It too carries the white/grey theme of Blizzard squad. And here’s the full set. Summary: The set is FAST build. The turret takes less than a minute. Each figure another minute or so each. 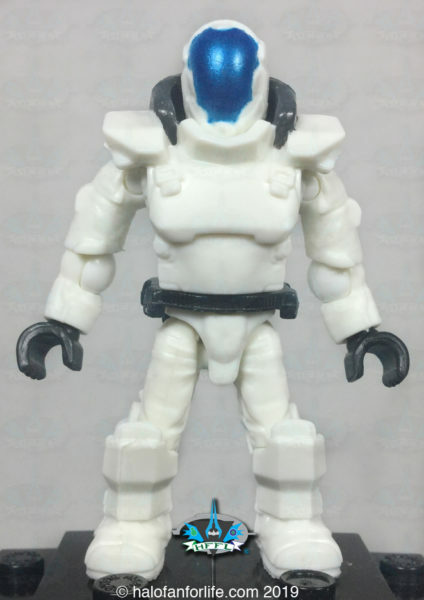 Though we’ve had these same figures before, we’ve never had them in this color scheme. I LIKE it! A note. This set of figures makes a great companion to the UNSC Frostraven set! Overall Rating: I give this set 9.5 out for 10 medals. Why did I give it a 9.5 out of 10? 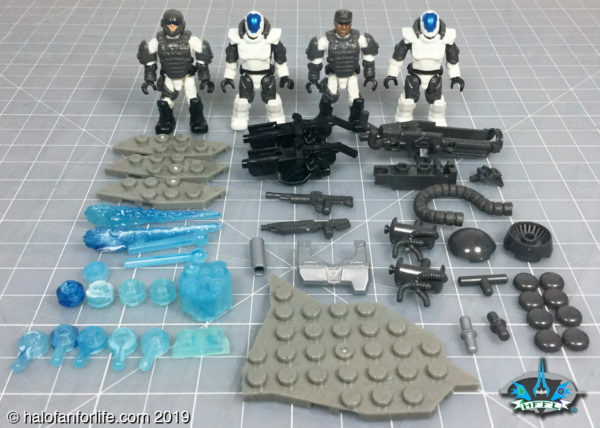 • The only issue I have is it not having the two extra hoses for each of the Cryo Marines. 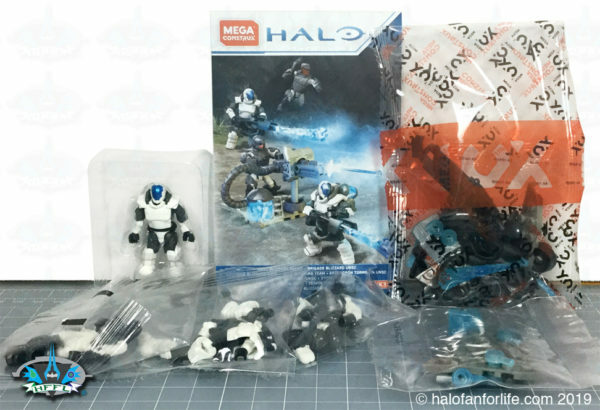 Perhaps Mega thought that having three in one set might be too many? 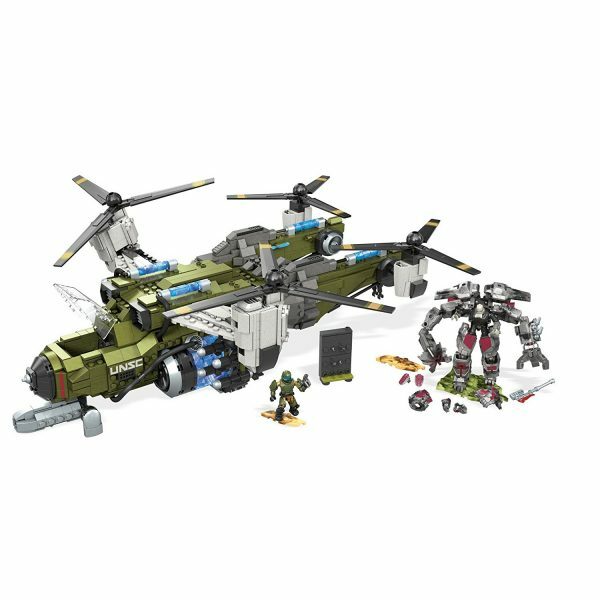 • The set includes 3 figures. Each figure is valued at $3.50 (same as the blind bag average price of figures) for a total of $10.50. • This leaves $4.50 left for the turret assembly and larger baseplate. 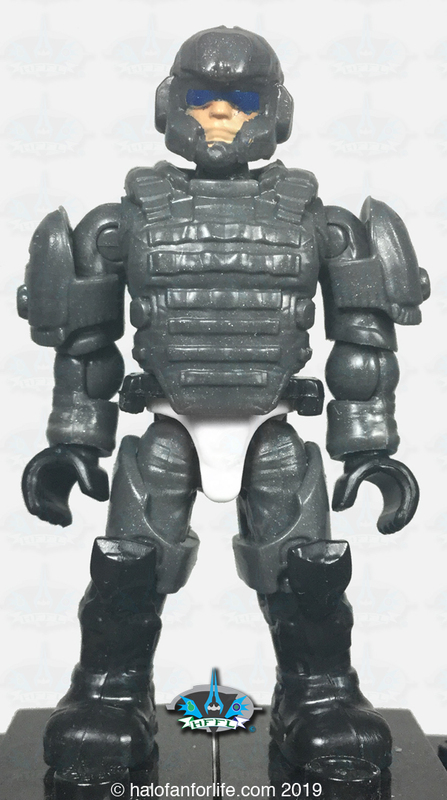 While that isn’t quite there, the translucent pieces and action feature of the turret help to make up the difference. I value this portion of the set at $3. Given that the set costs $15 US before tax, this set’s value is close to the mark. At only 111 pieces, I’d have liked to have seen the set at $12.